2. Enhance Organic Search Result 3. 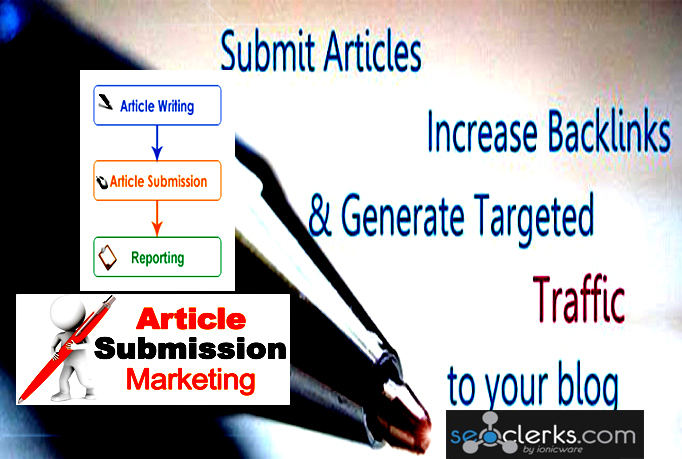 Article submission is a useful resource heavy in terms of increased visitors to your site and then you get one way links to your site.This will be one of effective marketing draw near spoke as individuals you leading to your website. Q: Do you provide me the report? Q: Its really manually work? A: Yes its a really manually work by hand no auto-semi software use. Q: Do you use your old account for my submission? A: Not at all.I create always new account for individual. Q: What is the approved rate? A: This is depend on your good content but you will get 75% approved rate. Q: What is the length of the content? Q: How many HTML link you allow? distribute your article or blog to 25 PR3+ site for traffic and backlink is ranked 5 out of 5. Based on 3 user reviews.